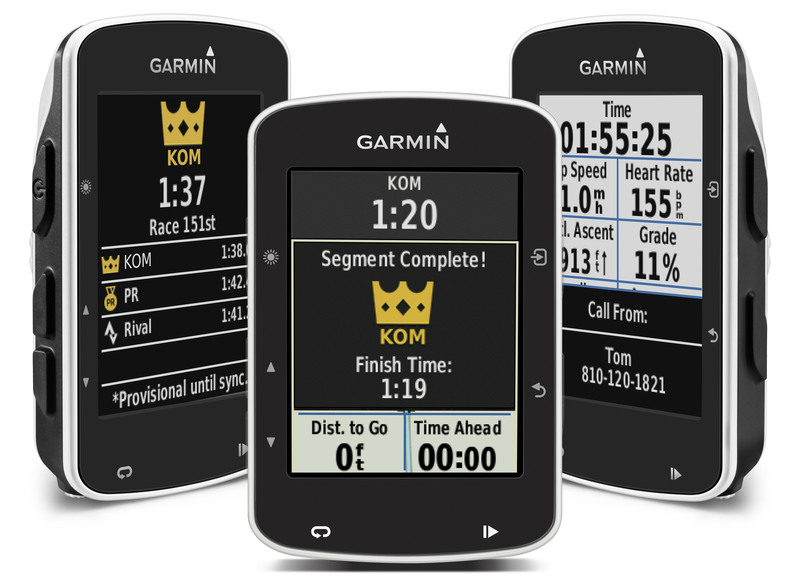 GPS manufacturer Garmin today announced the Edge 520, a GPS cycling computer that supports a number of advanced features. The GPS includes functionality for time in zone, cycling-specific VO2 max and recovery, indoor trainer, cycling dynamics, time in zone, and Strava and Garmin Connect connectivity. The addition of Strava Live Segments is rather exciting, as it allows cyclists to upload segments from Strava to the Edge 520 - and will give them instant data, including King of the Mountain and Queen of the Mountain titles. Edge 520 supports a 2.3-inch color display, 15 hours battery life, and ANT+ sensors. "We're excited to announce the Edge 520 and our strategic relationship with Strava - providing cyclists with the first GPS bike computer to have Strava Live Segments," said Dan Bartel, VP of worldwide sales at Garmin. "The Edge 520 taps into cyclists competitive edge and offers them the latest in innovative training tools." Garmin is the leading GPS manufacturer when it comes to cycling and other outdoors sports, and this should be a welcome model. Expect the Edge 520 to begin shipping during Q3 for $299.99 or $399.99 for a GPS and heart rate monitor bundle.